These are the hundred and twenty five seats with the lowest percentage majorities over the Labour party. This does not necessarily mean they would be the most winnable seats for the Labour in practice, or that they are the seats the Labour party will actually be targetting at the next general election. The Labour party won 232 seats at the last general election, so would need to win another ninety-four seats to secure an overall majority in the House of Commons. Yes turning their guns on their own voters seemed bizarre but it seemed to have a greater impact on the families of retired Tory voters who didnt want to inherit a loss on their family home. then quite honestly, the possibility of a Corbyn victory is the least of your worries. What you are actually saying is that you regard UK democracy as a fiction, that we are only allowed to play with our toys for as long as we do what the autocrats want, and that they are prepared at any time to create a dictatorship if they so decide. If you don’t see the problem with that, you need to stop and think a bit harder. May is obviously a fascist in disguise! Jeez there’s a lot of hyperbole in there mate. Why would keeping Jezza out of No 10 mean we turn into a dictatorship? Surely it would simply mean putting in an alternative Labour politician, as I made clear in my post. nobody who was born after 1950 has seen a hard left party so close to power, frankly. corbyn came into the house of commons in 1983 on a platform and manifesto that he still clearly believes in even now. the only think he has had to compromise on since that time is nuclear weapons and even that he would probably give up, if he knew before the election how popular other parts of his programme appear to be. Exactly. If he’s elected, Corbyn is going to be Britain’s left wing Trump, totally without modern precedent. He’ll hit the buffers with his own party quite early on. Let’s be fair – the manifesto was hardly Das Kapital. It was actually a pretty good compromise that most of the PLP could get behind. Sure, Jeremy’s natural instincts are a fair step to the left of what was in the manifesto. But he wouldn’t be able to get those more radical ideas through parliament, even if he was elected on a thumping majority. All credit to the man. I would never have thought his stuff would be so resonant and rouse the enthusiasm of voters, but that’s what democracy is about. We tories can’t complain if he knows how to rouse his base and give them belief and motivation and we don’t. We have to raise our game. Democracy is a competitive process, that’s why dud leaders have to go. Corbyn would surely have been expected to go if there had been the expected wipeout, so all credit to him for gaining seats for labour in a general election for the first time in 20 years. you’re right. there ‘s also the old story they used to say that mass membership was dead and activists didn’t matter. corbyn and momentum have overturned that particular myth. PC – I’m not sure there’s any evidence of that though. In fact Labour people were complaining to me only last week that most of the Momentum lot don’t ever turn up to leaflet or canvass. I realise they are a force on-line and like attending a protest or rally though. Plus in both 2010 and 2015, Labour famously beat the Tories 3:1 in terms of activists on the ground and doors knocked. In Derby North momentum had two campaign days on saturdays over three weeks. The first drew 50 people the second about 100. They had to do their briefing in the car park because not everyone could fit in Unite’s office. Maybe it’s better that way though. I’m sure the more mild-mannered folk do a better job on the doorstep than the “Tory scum!” brigade. I’m afraid your betraying your own allegiances there, I’m ex Momentum so don’t think I have any love for them and prior to the campaign I’d have agreed with you but over the past few weeks they have really stepped up. Most of the new Lab MP’s (some of whom are definite Blairites) have openly thanked the campaign work Momentum did, the Momentum “Find my Marginal” and “Momentum Carpool” Apps where downloaded thousands of times and were incredibly useful, Liverpool Momentum even campaigned heavily for Alison McGovern in Wirral South (chair of Progress) and she has since begrudgingly thanked them for their work. Finally I was only speaking to Pepps on here a few weeks back about how local Momentum groups were campaigning in Crewe and Weaver Vale with little to no help from the national party, as it is we won both seats so I think it has to be said we probably owe our victories there to Momentum, I imagine the story was similar in most every seat Lab gained, HQ fighting a defensive campaign and leaving it to the (presumed deluded) Momentum campaigners to go after marginals. Ipsos Mori estimated that turnout for 18 to 24 year olds was 58% turnout would be a considerable increase on estimated 43% in GE 2015. Yougov estimated that among 18- 29 yr olds about 63% for Labour and 22% for the Conservatives, having polled more than 50,000 people online. The figure it gave in its poll after the 2015 election was that 36% of 18 to 29 year olds had voted Labour with 32% voting Conservative – if correct that is a huge swing among young voters. Lord Ashcroft’s much smaller exit poll puts support for Labour among young people even higher, with 67% of 18 to 24 year olds voting Labour and 18% voting Conservative. 58% turnout is really still not that high, considering it was reportedy 64% in the EUref (after an initial figure of 36% was debunked). I am honestly surprised by that figure, I thought youth turnout would be in the 65-70 range. H. Hemmelig, I respect you as (over a long period) one of the most interesting posters on here, but your post that I noted did in fact say ” following the script of A Very British Coup if it comes down to it”. Key plot points include: “the aristocratic Sir Percy Browne, Head of MI5, whose ancestors “unto the Middle Ages” have exercised subtle power behind the scenes”, an attempt to blackmail the PM out of office using forged documents, and, on TV, in the closing credits, the very clear implication that a military coup has been launched against the elected government, because “the powers that be” (to quote you again) cannot accept a democratic outcome they don’t approve of. In what way did my earlier comment therefore include hyperbole? I was quoting both you, and the TV drama you referred to. A military coup against an elected PM would indeed be a dictatorship. If any of you think that’s a possible outcome, you do indeed think that democracy is a sham. 64% in the EU referendum was 64% of all registered voters. These turnout estimates are turnout estimates of all people, rather than just registered voters. That is the difference, I think. Isn’t there also an old internet meme that the first person to draw a parallel to Hitler is admitting that they have lost the argument? Possibly – though if you’re taking life lessons from internet memes then you’ve probably lost more than just the argument..
Conservative HOLD. No UKIP (as prev). Are Labour expecting a 2018 GE? THIS is by London List. 75 PPCS will be selected by Christmas. How many of these are Left / Momentum / JC dominated? to carry out selections before the end of the year. Interestingly LL has no word on Scottish selections. I get the point that, in a sense, targetting SNP seats is not going to remove the Conservatives from office, but on the other hand Jeremy Corbyn did do a big tour of Scotland just last month, so it seems like they’re taking Scotland very seriously. One other important fact to note – most of the selections will be made from all-women shortlists as Labour aims for a 50/50 gender balance in the PLP. Yes AWS in Harrow East must be infuriating for the 2017 candidate who did very. Lost by only 1700 votes and must have expected to be given another go at it. Interesting that nearby marginals Hendon and Finchley & GG are open selections. Would a prospective male candidate have any grounds to make a legal challenge against the imposition of an AWS? Or is it a case of the party being entitled to have its own rules, and anyone challenging it would be seen as trouble and not worth selecting anyway? It’s a very regressive stance, indicating that women cannot be selected in merit against men. Which frankly is nonsense. I wonder what the gender balance of the PLP would be without AWSes. I’d guess about 30 to 35% female – about halfway between the Tories and the post-AWS Labour Party. I don’t think I could be part of a constituency party though that was bound to limiting itself to 50% of the potential candidates, just to satisfy some tick box bureaucrat and a quota. The best candidate should be selected… really, the Tories ought to be trying to make hay out of it. No, they shouldn’t. This is an issue that only political nerds care about. This really isn’t the place for arguing about the merits of AWS, which is quite an old argument now as they have been in place for more than 20 years. It also isn’t something the Tories can credibly criticise, as they have in many seats had a more watered down version of the same policy since 2005. I do believe that the move away from selecting on merit in both main parties has been one of the factors which has reduced the quality of MPs over the past 30 years, though there are many others. 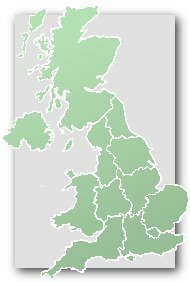 Here’s a useful link to Labour’s target seats post-2017. It’s very noticeable just how many more marginals there are now – for example 37 target seats with majorities under 2,000 compared to just 17 such seats after the 2015 GE. There is an interesting discussion going on, on another politics blog on this question. Do voters in council local elections vote on local issues in significant or do the vast majority of the 35 -40%, who do vote simply vote for their party that they would vote for in a GE? Alex F: I would say that for Labour and the Conservatives, there isn’t all that much split-ticketing, and so the trends are broadly accurate (with the proviso that whoever the Westminster opposition always tends to overperform what they would manage in a general election). However, the Lib Dems and other smaller parties pop up in all sorts of unlikely places in local by-elections, and you can’t read too much into that. And sometimes there will be freak results due to specific local factors. Have to second all of what Polltroll said all I’d add is that in the case of the Libs in particular their local national split can oftentimes be phenomenal, take somewhere like Easteligh, they totally dominate the local council yet the Westminster seat looks pretty safely Tory these days. Or where I’m living now in Bedford, the mayor is a Lib Dem but the seat is a classic Con-Lab marginal where the Liberals were weak even before they collapsed nationally in 2015. The same is true for Watford where the Mayor and Council is run by Lib Dems but the Constitency is a Labour Conservative knife edge. Despite the Lib Dems success in St Albans in 2010 and 2017 they haven’t had an MP in St Albans for a century even though they ran the council during the 90s and the 00s. The Tories were even reduced to 5 councillors. St Albans was one of very few seats where the Lib Dems moved from third place or lower to second at this election. In fact I believe the only other seat where this happened was Vauxhall. This is a somewhat overlooked problem for the Lib Dems. In places where they were not either the incumbent or the obvious challenger, they picked up negligible support. This means that they have target seats for 2022 (or whenever the next election is), but beyond that there isn’t a tranche of seats that they can target over the next three or four electoral cycles to make them winnable. If I were a Lib I wouldn’t be worried about that, the Lib Dem brand is still massively tarnished by the coalition, in many quarters its still downright toxic. When (or rather if) the Libs manage to put that episode behind them their support will naturally return to the 14-18% nationally level they were at in the 90’s That level of support nationally will give them a small base of support in most every seat but it will be at different levels, for example in many a seat they’ll only manage 10-15% but in others they’ll manage 25% or so, it will be in the latter that the Libs focus on.